My job as communications director at a Modern Orthodox Jewish high school has many advantages, chief among them is that I get paid to celebrate Yom HaAtzmaut. 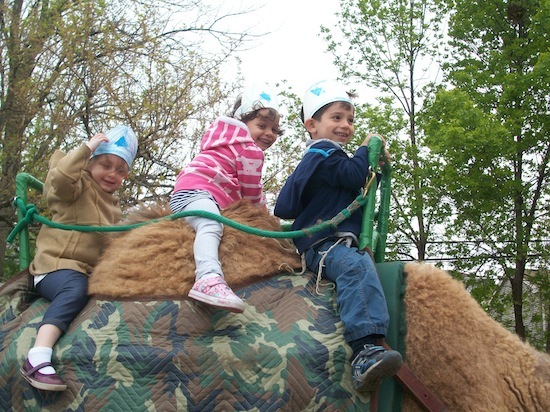 Here are some highlights of how we celebrated Israel’s 64th birthday today. 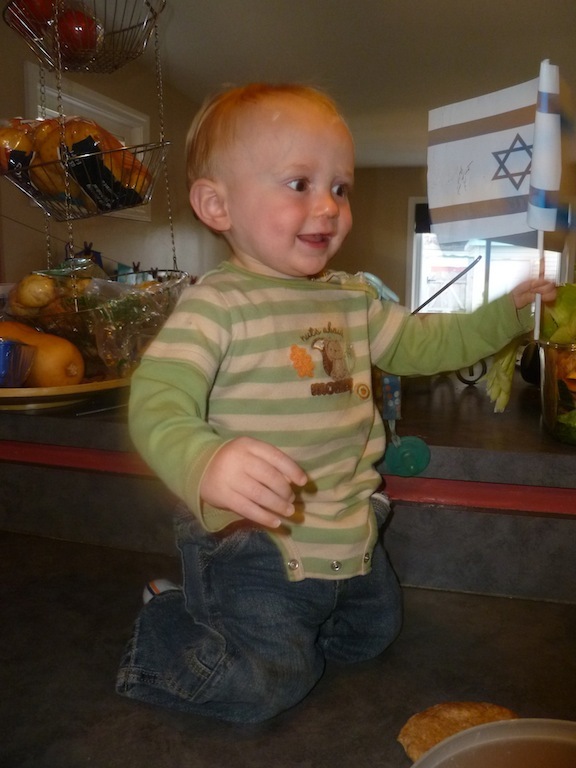 Granola Baby joined me at work for a lively round of Yom HaAtzmaut dancing, where teenage girls passed him around, and he grinned ear to ear like any guy in the arms of pretty girls would do. He got hold of a flag to wave and was still waving it hours later. 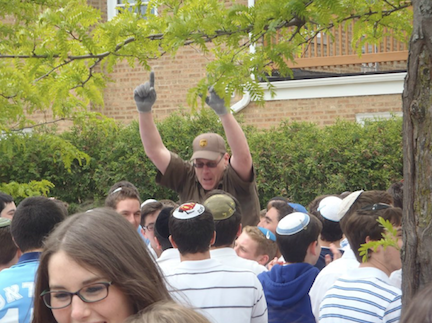 The energy at the high school was so contagious that even Jim from UPS joined the party. I came home to greet my kids who couldn’t get over all the fun they had at their school, complete with camel rides, a festival, a moonwalk and loads of treats. One of my daughters was so inspired by her day that the prayer she folded up and stuck in the “Kotel” was that she should get to visit Israel. When the kids finished telling me about stuffing their faces with caramel apples, donuts, cookies, s’mores and candy all day, they of course asked for an after-school treat in honor of the celebration. Well, I wasn’t going to be the stick in the mud who handed out carrots. Instead, I put my 4-yr.-old to work whipping up heavy whipping cream and then made a chocolate smoothie. We followed that up with an impromptu dance session in our living room. Here’s to celebrating the 65th birthday in Israel! Mix all the ingredients in the blender until smooth. Top with whip cream (see below). Combine all the ingredients in a bowl and use a hand mixer on high to whip it until desired consistency (4-5 minutes).